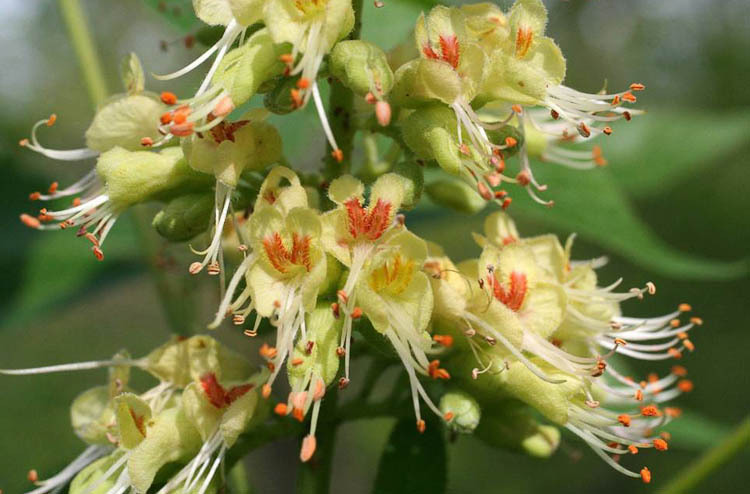 Buckeye flowers are colorful, in cone-shaped branched clusters (panicles). Buckeye flowers change from yellow to red after they’ve been pollinated. Plants often produce many more flowers than mature fruits. Buckeye seeds are poisonous. Don’t eat them! They are are NOT the same as yummy edible chestnuts, even though they look similar. For wilderness survival, although it must be against all kinds of game laws (! ), buckeyes stirred into a wilderness pool might poison the fish such that they rise to the surface and then you could eat them (the fish, not the buckeyes). Buckeye is the iconic tree for a major midwestern university that represents it in a stylized inaccurate manner on their lampposts and such. I mean, really…can you tell this is opposite, palmately compound? 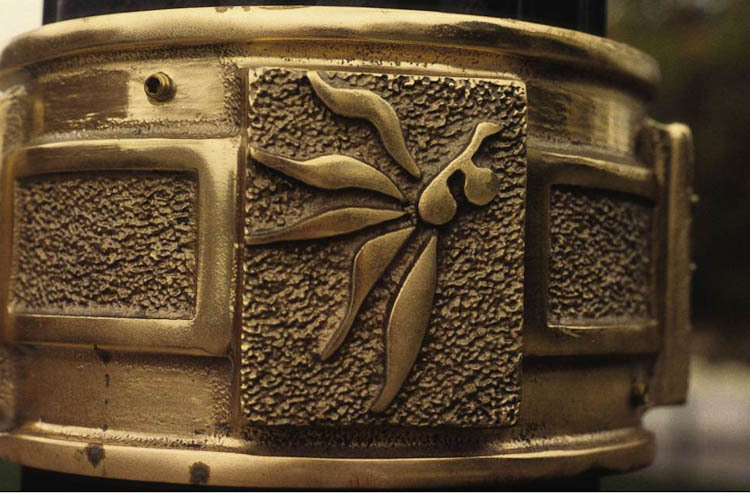 Stylistically nice, but botanically inaccurate representation of buckeye. 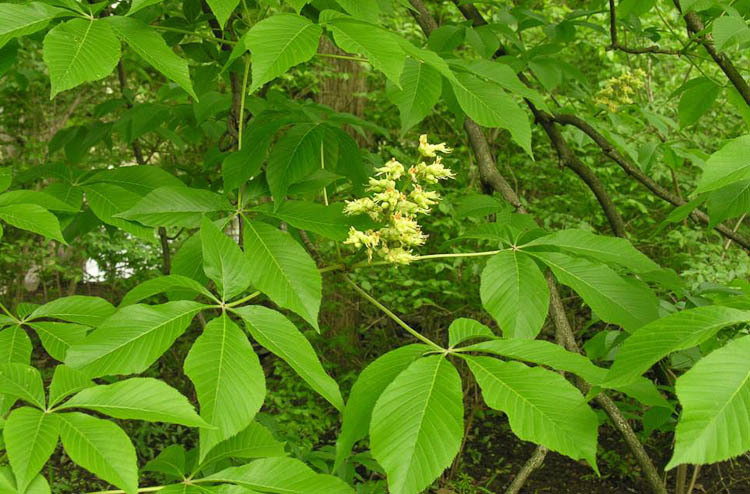 We have two species of buckeye in Ohio. 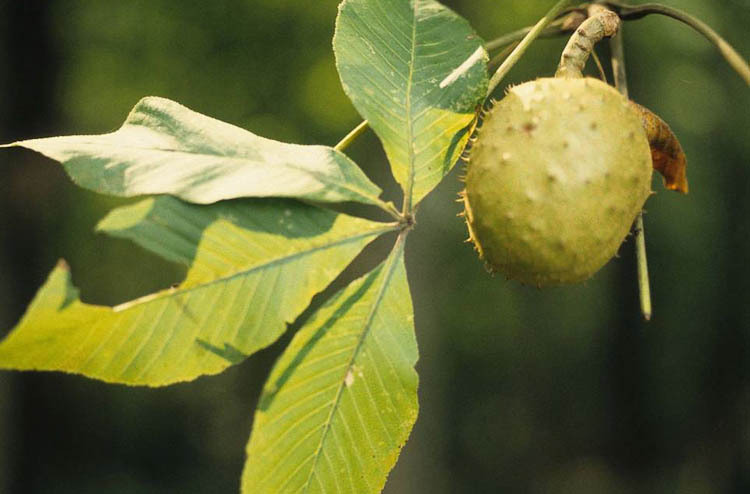 The Ohio (foetid) buckeye (Aesculus glabra) is widespread and common, whereas the yellow (sweet) buckeye only occurs in the unglaciated extreme southern part of the state. How to tell them apart? 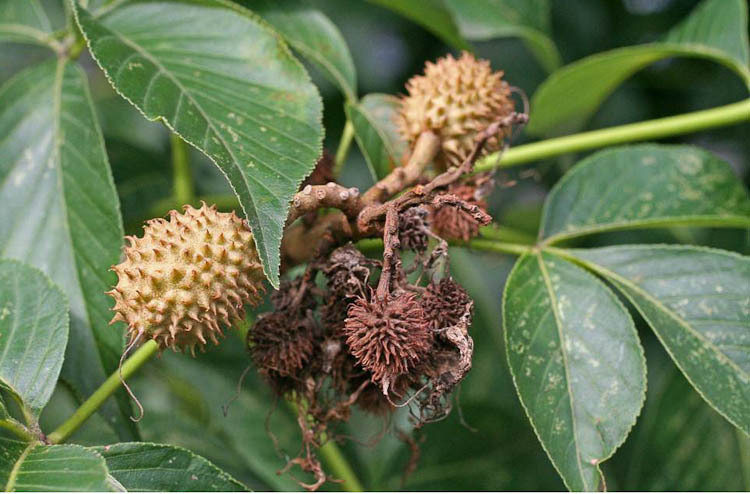 Ohio buckeye twigs scratch and sniff skunky and its fruits are spiny, whereas sweet buckeye isn’t stinky-twigged and the fruits are smooth.